Cisco-Eagle helps warehousing, manufacturing, distribution, government and other industrial operations increase productivity, reduce costs and operate better by providing storage, handling, organizational and safety solutions. We are experts with racking, conveyors, mezzanines, storage, and other material handling equipment used in order picking, assembly, kitting, storage and other industrial operations. Contact us today for fast assistance. Cisco-Eagle helps Michigan companies design, implement and install high-performance conveyor solutions. With hundreds of rack installations in every industry from manufacturing to distribution to processing, we can help companies find the right storage solutions. It's difficult to store and handle bulky sheet metal. We have longtime expertise in helping companies organize their loads to be safer and easier to handle. Load and unload barstock, tubing and pipe easily using mechanical lifts when you have crank-out cantilever storage. We're experts at providing these specialized storage racks. Add more space at a fraction of new construction cost by utilizing more facility height. We can assist with structural, shelf-supported or rack supported systems, as well as pick modules and platforms. A variety of heavy-duty shelving systems for warehousing, distribution, manufacturing and industrial storage. We help make dock areas safer and more efficient, with a variety of solutions ranging from dockplates to dock bumpers to safety sensors, gates, and more. Carton flow is high-density storage that helps turn inventory in the right order while reducing walk and transit times. We can help you outfit your operation with a productive system. We design and implement lifting systems that create efficiency, reduce cycle times and enhances ergonomics and safety. Safety and productivity go hand-in-hand. See our exclusive AisleCop® automated forklift safety systems, and many other safety offerings. 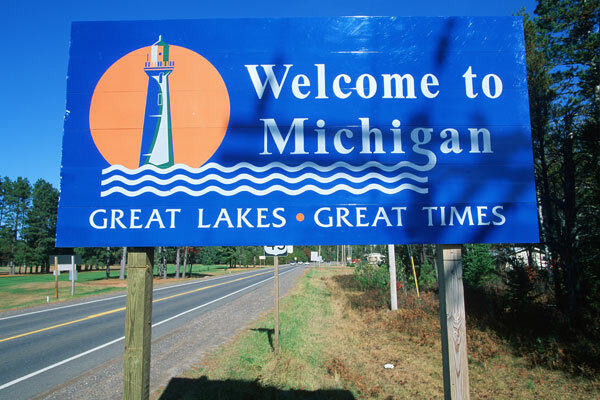 Our Michigan regional office covers the upper midwest and Great Lakes region, including Ohio, Wisconsin, Illinois, Indiana, Western Pennsylvania, and more. You can always contact any of our offices for fast assistance.